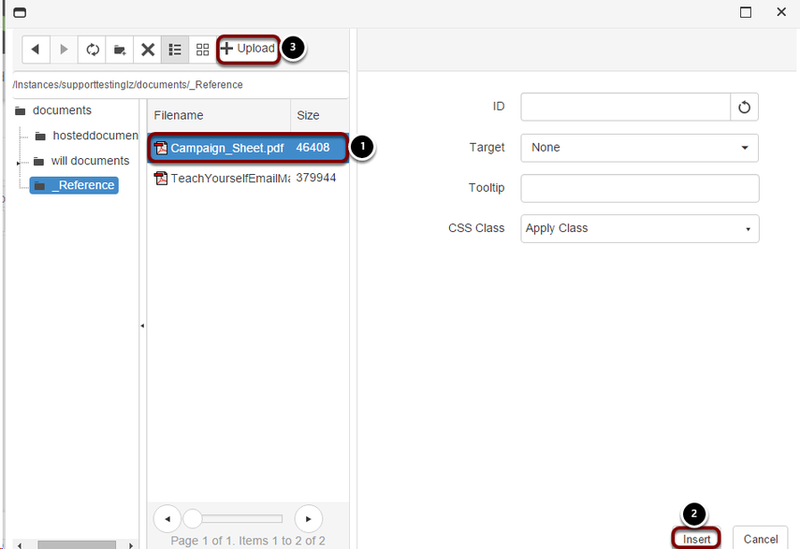 Links can be created from the email or Landing Zone to documents, such as PDF documents and MS Word documents. Highlight the text you wish to link to a document. Click on the Insert Document Link icon on the right hand side of the Editor. Hit Select and then browse for the document on your computer. Once the file has been selected click upload. 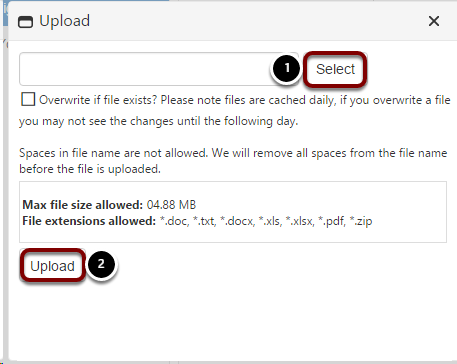 Once the file has been uploaded you can insert it into your email.